The Karen National Union (KNU) made public decisions at an emergency meeting by its Central Committee this week about recent and future ‘peace talks’ with the Burma government. 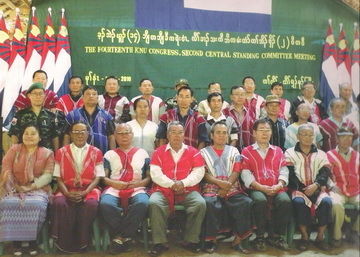 The KNU emergency meeting, held at a secret location in Karen State was attended by a total of 38 representatives, 35 Central Committee members and three specially invited representatives. The KNU statement noted that in regard to the ceasefire talks with the Burma government its representatives on decided five key points.